Too good to use for parts. So I finished last time with a picture of the 633csi in the garage, with a fleeting comment about hoping it doesn’t spend a lot of time there. Well so far that’s exactly where it’s been. After rifling through the boot and finding receipts for Chemiweld (a temporary head gasket fix) and talking to the workshop that did the work, I decided to take the plunge and tear the head off the car to see what was going on/get it ready for everyday use. That was were this plan went south, as the head gasket wasn’t blown, the head was cracked (in three places…). 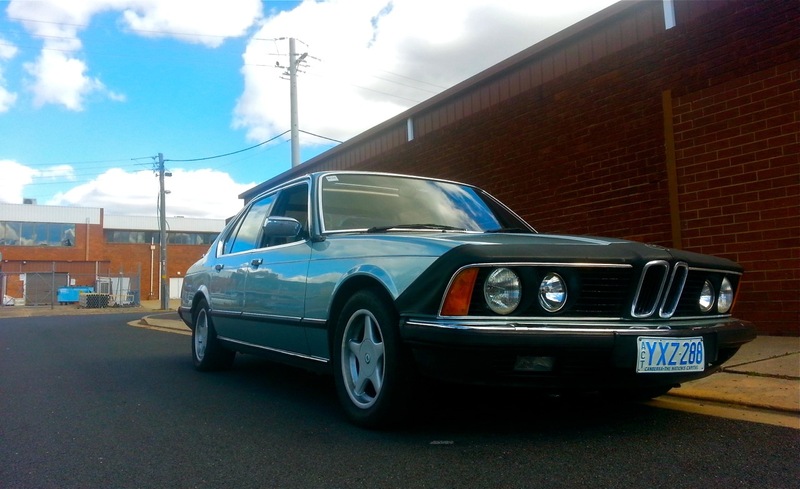 So onto eBay, classifieds and BMW wreckers in Australia. Now the 6 series is not a common sight here, especially not the 633 so finding a head was proving difficult. Especially considering the head on my car was an early iteration that was prone to cracking between water galleries (as mine has). 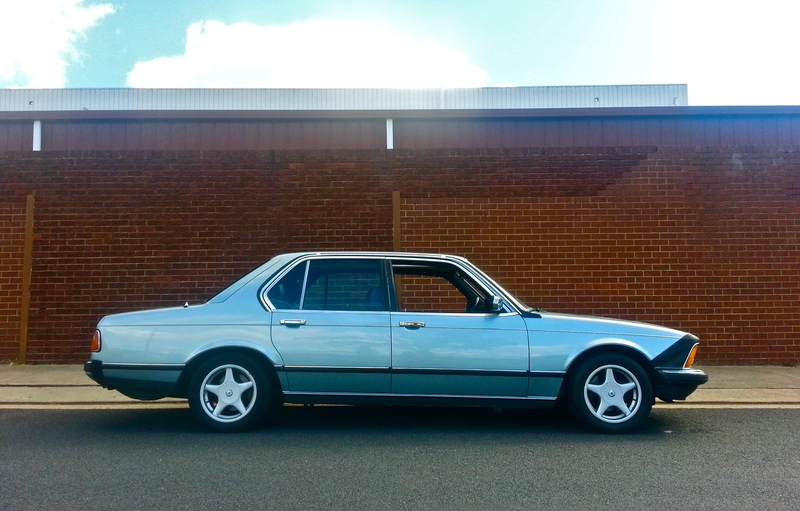 So after days of fruitless searching an ad caught my eye for not one, but two 1981 BMW 733i’s, just up the road from my house for a very attractive sum. Upon arrival the blue car was far better than it looked in the pictures. The paint work was in amazingly good condition, there was no easily visible rust and it drove OK. The electric widows, sunroof and ventilation system worked and it was even fitted with a set of period correct Racing Dynamics wheels (and a fitted car-bra!). The other part of the deal, a gold 1981 733i was not so fresh. The paint was an interesting mix of peeling clear coat, scratches from a dog that’s been sleeping on it for the past few years and moss/mould. The interior wasn’t much better, smelling like a mixture of cat piss and damp velour. On the plus side it’s fitted with a 735i engine, the head of which could possibly be used for the revival of the 633csi. Fair to say I took the risk and bought both. After dragging the gold car out of the back yard and getting it onto a hired car trailer, we towed it straight to a car wash. Not to actually clean the car, but to wash the evidence of years worth of rodent infestation in the engine bay away. After driving the blue car I have decided it’s too good to use for parts and I plan on driving it around while the 633csi’s off the road. I have started pulling the head off the gold car to see what condition it’s in (and whether it’s the one I actually want!) so only time will tell there.